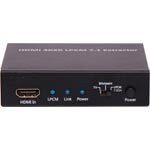 Converts an analog audio output (from any standard line level source) into a digital audio signal for connection to a commercial amplifier or distribution system. 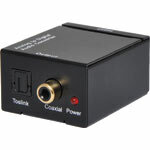 Both coaxial and optical (Toslink) input connections are provided. 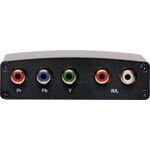 Converts a digital audio output (from a DVD player, set top box etc) into a standard stereo line level signal for connection to a stereo or commercial amplifier system. Both coaxial and optical (Toslink) input connections are provided. 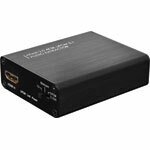 Converts optical toslink audio input to a Coaxial SPDIF Digital audio output. 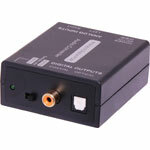 Requires 6 Volt dc input M 8916 plugpack with M9188 tip. 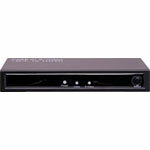 AHD (Analog High Definition) format is used for transmitting HD video over long distances in CCTV applications. 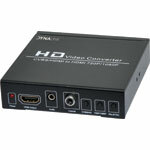 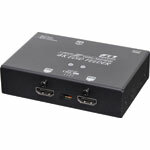 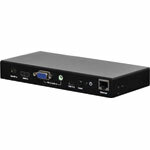 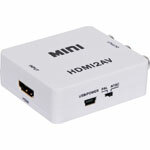 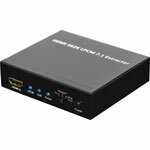 This converter can convert an AHD signal to HDMI with an AHD loop out. 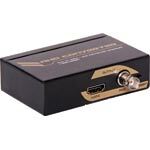 A compact down scaler box designed to convert HDMI to a stereo composite signal for integration into analogue signal installations. 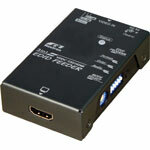 Ideal for using new source equipment with older televisions or distributed AV systems. 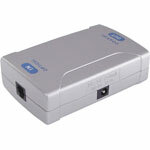 NTSC/PAL selection.